This year’s Midwest League finals will feature a matchup of franchises eager to end their championship droughts. The Bowling Green Hot Rods will represent the Eastern Division in their first-ever trip to a championship series. (They started as a member of the South Atlantic League in 2009 and moved to the Midwest League the following year.) The Hot Rods advanced by sweeping the West Michigan Whitecaps in the Eastern Division finals; the clincher was a 3-1 win that featured strong pitching from Paul Campbell and a two-run single by Ronaldo Hernandez. Campbell gave up one run on five hits and a walk while striking out six batters in seven innings. Peoria has been to the championship series before, but not since 2002 — so long ago that the youngest player on that team was Yadier Molina, who has played in the majors for the past 15 years. The Chiefs won the league title that year after losing the championship series in their previous two appearances (1985 and 1986). This year they swept the Cedar Rapids Kernels in the Western Division finals, with Sunday’s clinching game (a 5-0 win) featuring great pitching from Jake Dahlberg and a two-run single by Zach Kirtley. Dahlberg scattered four hits and a walk while striking out nine batters in eight shutout innings. The Chiefs will host the first two games of the series, beginning at 6:30 p.m. CST Wednesday and Thursday. The Hot Rods will host Game 3 on Saturday and, if necessary, Game 4 on Sunday and Game 5 on Monday. Some fun facts about this series: Each division is represented by its southern-most team. The series will be played entirely in the Central Time Zone because Bowling Green is located in the part of Kentucky that uses Central Standard Time. The other seven Eastern Division teams are based in the Eastern Time Zone, while all eight Western Division teams are in the Central Time Zone. 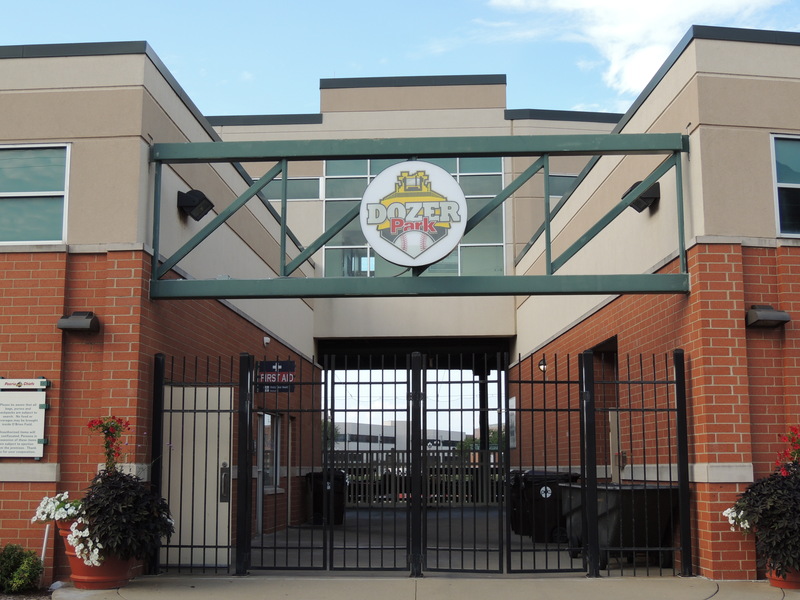 This entry was posted in 2018 Playoffs, Bowling Green Hot Rods, Cedar Rapids Kernels, Midwest League, Peoria Chiefs, South Atlantic League, West Michigan Whitecaps. Bookmark the permalink.